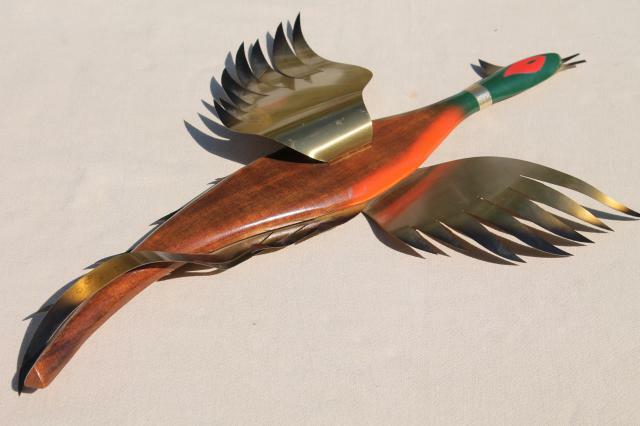 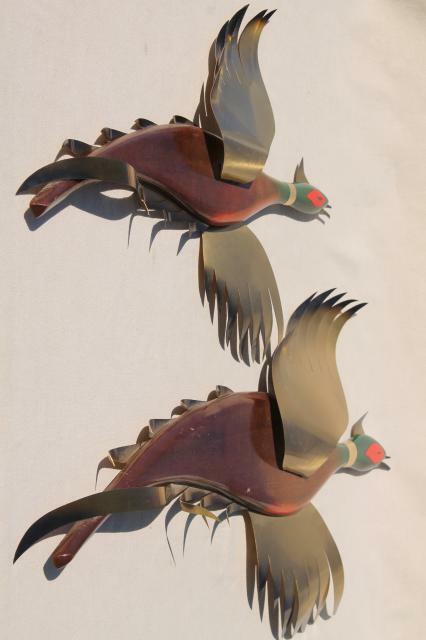 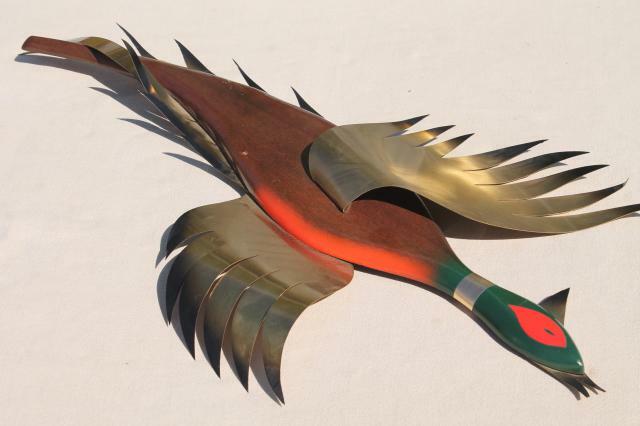 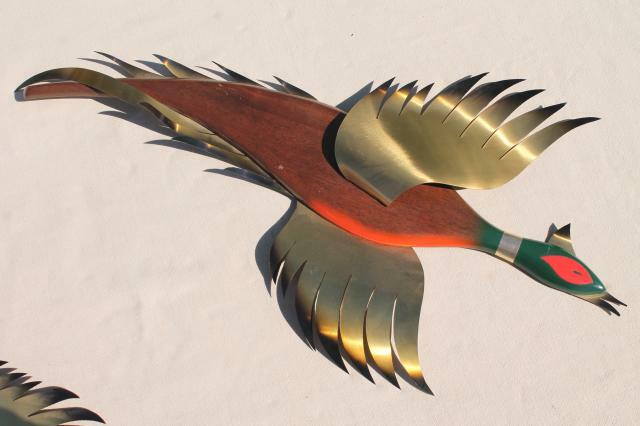 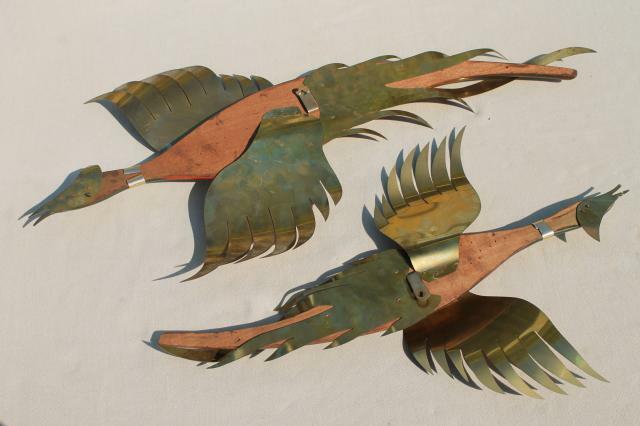 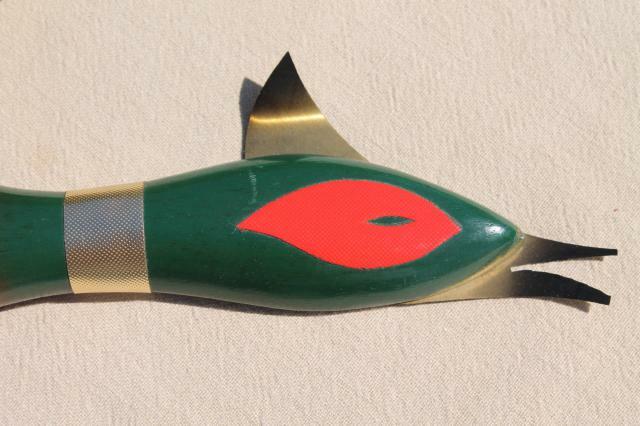 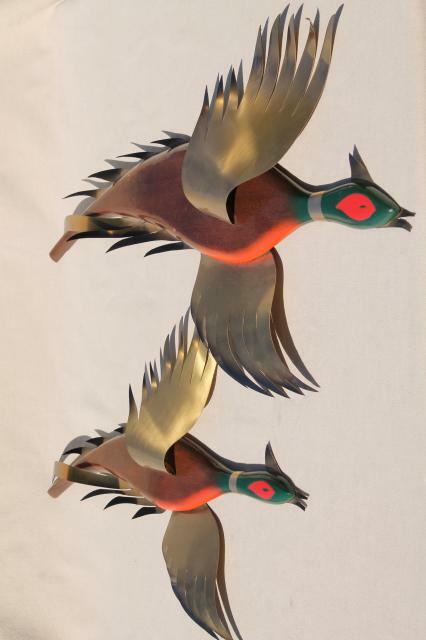 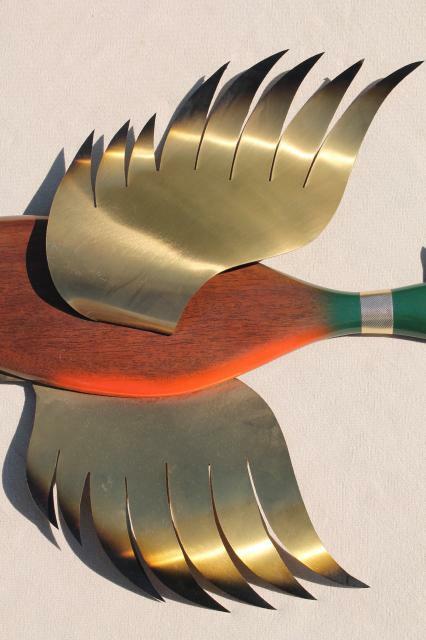 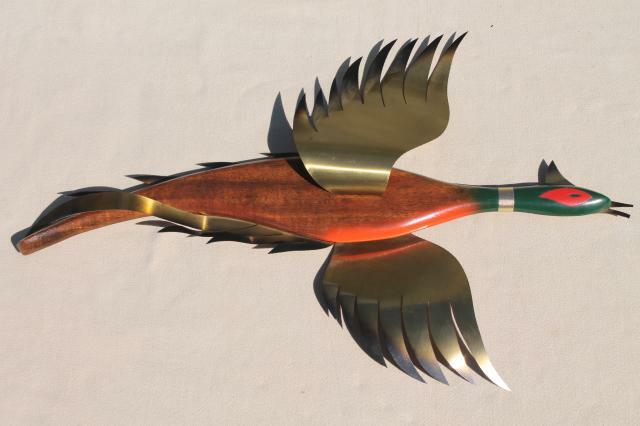 Mid-century vintage game bird wall art pieces, wood with metal wings. 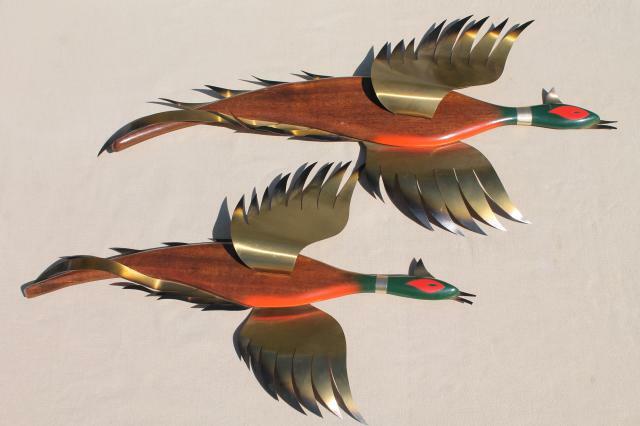 These are 21" and 27 1/2" long end to end, very large, very cool! 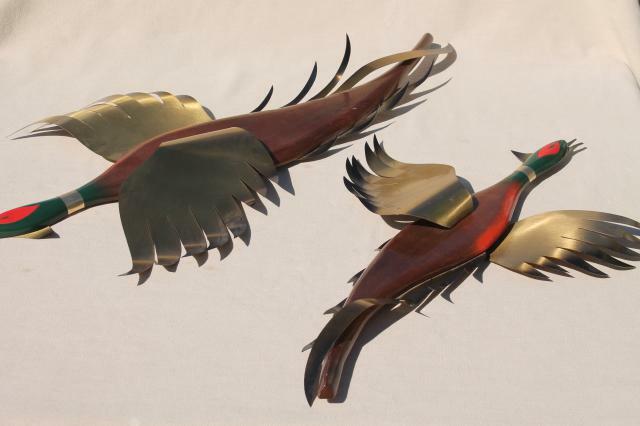 Both birds are in good clean condition, ready to hang.